The simple but innovative VERTICAL CENTER UNIVERSAL (VCU) 500C vertical machining center with a 3-axis table brings advanced technology and production value to accurate small parts processing for a variety of industries. Leaders in the manufacturer of advanced technology solutions including Multi-Tasking, 5-axis, milling, turning, CNC Controls and automation. We have developed unique products that realize unsurpassed productivity and established 78 Technology and Technical Centers all over the world to provide total solutions and optimum service support close to customers. 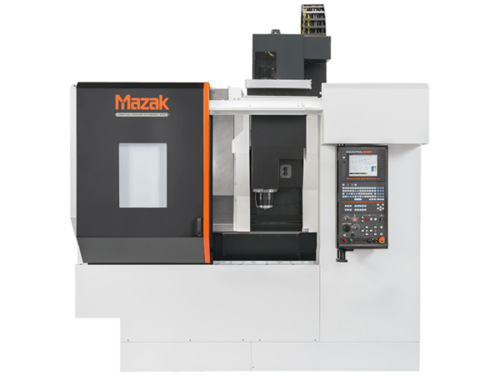 Additionally, we began machine tool production in foreign countries much earlier than other Japanese machine tool manufacturers - starting in 1974 with the manufacturing plant in the U.S, we have established manufacturing plants in the U.K, Singapore, and China. We are the only machine tool manufacturer that has established a global production base. By utilizing the local manufacturing plants and global support bases, we have provided enhanced service and support and established strong relationships with our customers. Industrial Systems and Supply Inc.
JINAN ZETIAN CNC MACHINE CO., LTD.
Yamazaki Mazak Machine Tool (Shanghai) Co., Ltd.